In the new book The Skeleton Crew: How Amateur Sleuths Are Solving America’s Coldest Cases, science writer Deborah Halber describes how amateur web sleuths are solving some of the oldest and coldest cold cases in the country. And there are dozens of these cases which these amateur sleuths have helped to solve, with exotic names like “The Lady of the Dunes”, “The Head in the Bucket”, and “Tent Girl”. While these cases bring the Hardy Boys or Nancy Drew to mind, these are real cases, with real victims, that have been solved by real people just like you. As Halber explains in a recent article in Time, there are really just 5 steps to solving a murder (a real murder!) with your computer and the Internet. Think and imagine visually, but don’t become so fixated on one aspect that it leads you down a rabbit hole. As it turns out, there are dozens and dozens of people doing this, some with law enforcement or related backgrounds, some with nothing more than a passion to solve a mystery. Some on their own, some as part of a group or organization, such as the Doe Network, so-named because the found victims in unsolved cases are usually named John Doe or Jane Doe. These volunteers are the amateur sleuths helping to solve these cases, armed with just their computer, the Internet, and a desire to apply their brain and computing power to solving these mysteries – the cases that baffled law enforcement, often back when there wasn’t an Internet, and which have grown cold since. In Landry’s case they had a body. In the case of the Head in the Bucket, all the police had was a skull. In that case, a trucker noticed a bucket, went to move it, and found it full of cement. Eventually a jaw bone emerged from the cement, then a skull. Based just on that skull, noted forensic artist Frank Bender was able to develop a three-dimensional bust of the likely victim: a kindly looking, greying, middle-aged man. Web sleuth (and Doe Network member) Ellen Leach helped to solve this case by determinedly searching those digital square inches (step 1 above). 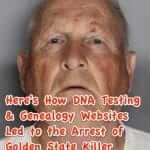 At first, though, Leach actually thought that maybe they had finally found Jimmy Hoffa. 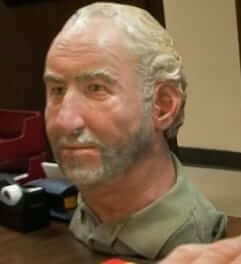 Forensic bust of Gregory May created by forensic artist Frank Bender based only on a skull found in a bucket of cement. Leach abandoned her Hoffa theory, kept poring over all of the missing persons and other sites, and eventually became convinced that the man in Bender’s bust was Gregory May. The work of an amateur web sleuth is painstaking, tireless, and often gruesome. But, it can be incredibly rewarding, giving names back to the countless Jane and John Does, and helping their grieving loved ones to finally have some closure. So, do you have what it takes to be an amateur web sleuth and help solve cold cases? 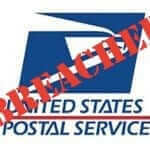 If so, a good place to get started is by contacting the Doe Network. 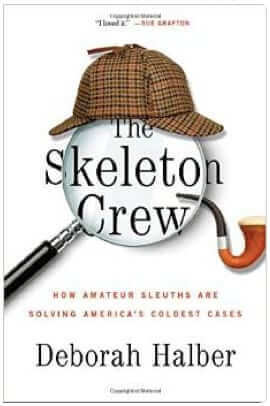 If you are interested in reading more, you should read The Skeleton Crew: How Amateur Sleuths Are Solving America’s Coldest Cases . The Skeleton Crew: How Amateur Sleuths Are Solving America's Coldest Cases, by Deborah Halber, describes how amateur web sleuths are helping with cold cases. I would like to help as well! I wonder who could help us get started! I am a former police officer and detective that has alot of time on my hands so I would like to become part of a group and volunteer to help out on cold cases if anyone is interested. In need to start an online crime solving team. Anyone with intelligence, let’s get busy. 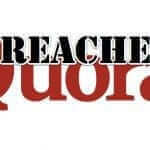 We have just tested all of the links and they work for us. Please try again.